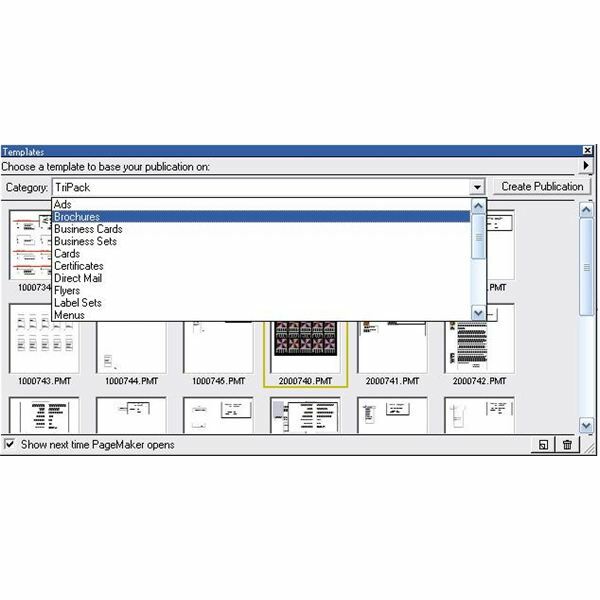 PageMaker 7.0 provides powerful DTP tools for creating your own professional, visually compelling pamphlets to showcase your product, business or event. This tutorial will show you how to create an 11 x 8.5, tri-fold pamphlet in PageMaker using a template. The final result will be double-sided, with three panels on each side for your text and images. Launch PageMaker 7. 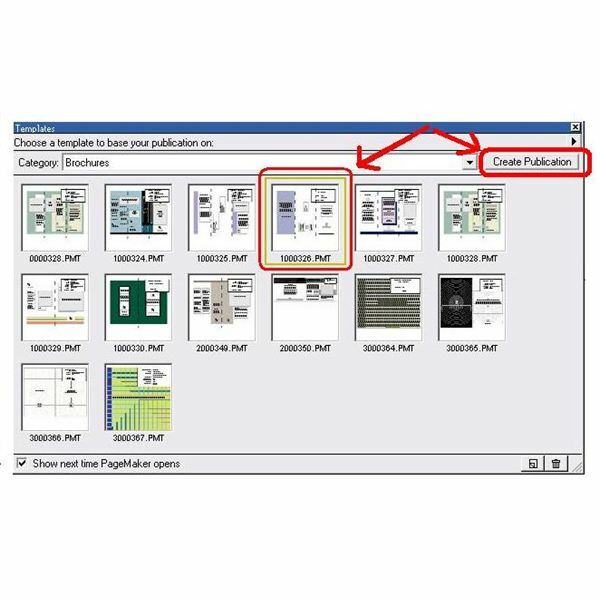 In the Template palette, open the Category drop-down box and click on Brochures. This will present you with thumbnails of available templates. Select one of the templates to work with. Although the specific details of each template are not clear from the thumbnail, you can still discern the layouts. To create a tri-fold pamphlet, you will choose a template with three columns, which fits the tri-fold layout. Click on the selected template and then click the Create Publication button in the upper right-hand corner. This will open a copy of this template. 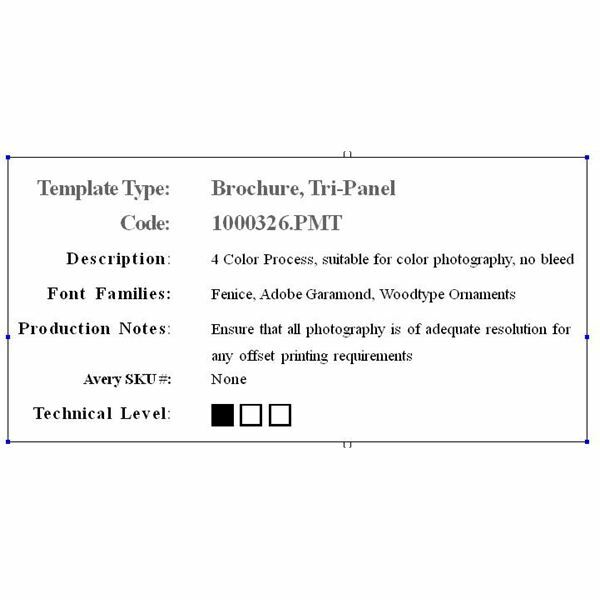 In the upper, right-hand corner of the template is a Production box that specifies information on the template including the type of template, colors, font types and special printing requirements. Once you read the contents, discard the Production box by clicking on with the Pointer tool, and then pressing delete or backspace on your keyboard. Replace the placeholders in the template with your own content. All the text and the images in your template serve as placeholders. Replace each of the placeholders with your own text and images. => To replace text, click on the Text tool and then highlight the text in the text holder. Type in your own text to replace the gibberish in the placeholder. => To replace an image placeholder, click on the placeholder and then press the Backspace or Delete key on your keyboard. Click on the File menu and select Place. Next, browse for the image you want to replace it with. Click OK. 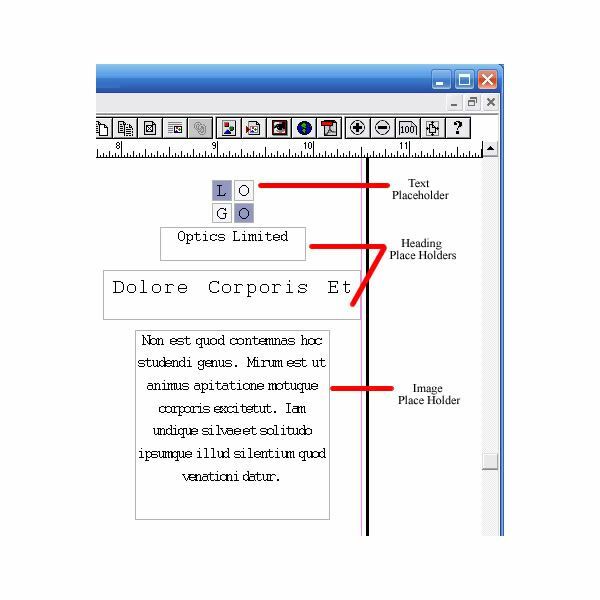 Position your image, and resize it to fit the available space. Now go to the second page. 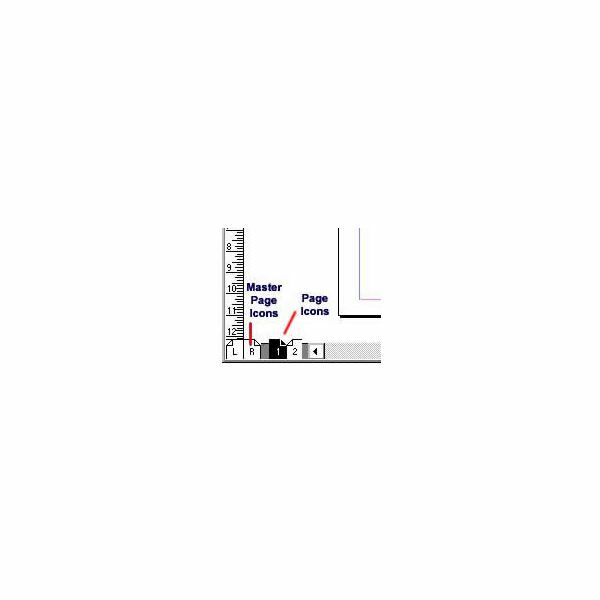 You can move from one page of your document to another by clicking on one of the numbered icons in the bottom left-hand corner of your screen. Replace the placeholder text and images with your own. Once you have entered all your desired content, and are satisfied with the final pamphlet design, you are ready to print. Click on the File menu and select Print. Click the on Print button to print your pamphlet.